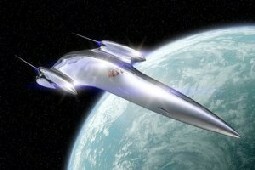 A joint venture between the Nubian Design Collective and the Theed Palace Engineers, the J-Type 327 is a sleek chromum diplomatic vessel in use by the government of Naboo . Lacking weapons due to its pacifistic nature, the Nubian has powerful Headon-5 Sublight engines that give it acceleration nearly the equivalent of many snubfighters. It's large complement of astromech droids provide a significant built-in repair capacity, and its shields are surprisingly powerful for a craft of its size. The Queen's personal vessel was piloted by Ric Olie, who managed to evade the Trade Federation blockade of Naboo.